The Netflix original “Bojack Horseman” is based on a dramatization of Hollywood, following a washed up actor trying to salvage his career while struggling with substance abuse and depression. Whilst the show features a style of sharp comedy, it also brings to light many mental health issues. “Bojack Horseman’”s tasteful approach to portraying mental health realistically and meaningful defines the show and displays its uniqueness very well. Many characters showcase mental illness in “Bojack Horseman” such as Bojack himself who exemplifies the terrible side to coping with depression. Viewers learn of Bojack’s painful past in passing moments during the show’s five season run. We know he comes from a bad home, drinks, smokes, does drugs and puts himself and those who love him in danger. Bojack exemplifies Borderline Personality Disorder (BPD). BPD is defined as a condition for people who have trouble regulating their emotions. Most commonly, the symptoms described with this disorder are unstable self image, bad relationships and self harm. Bojack Horseman checks all of these boxes. He thinks of himself in both the worst and best ways and holds a pretentious notion about himself that is unhealthy. Similarly, Diane Nguyen shows viewers a vindictive side to mental health issues. We see Diane succumb to her underlying anxiety issues repeatedly and lash out at others because of it. She chooses to bottle up her issues and depression until she eventually bursts, choosing to run from her issues rather than face them. Diane’s anxiety, essentially, has a grip on her whole life. Mr. Peanutbutter is another example of losing a grip on reality. He’s always happy and loves to be the center of attention, yet we see glimpses of Mr. Peanutbutter being angry or sad. Most notably, these times happen when he is confronted or fed up with being nice to someone. Mr. Peanutbutter copes with his anger and sadness by putting on a facade for people to see rather than venting his bottled anger. The way the series portrays mental health is in stark contrast to how many other popular TV shows such as “13 Reasons Why” and “Sherlock.” These shows misrepresent and glorify these issues to the point of normalizing them. For instance, “13 Reasons Why” uses the phenomena of suicide and depression to push a positive narrative that ultimately glorifies suicide and depression. 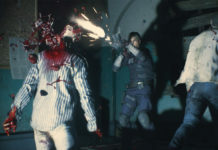 The main issue with the series is how the show portrays these issues. The show displays a sense of glory and justification for the suicide of Hannah Baker who cites multiple instances of high school drama for her spiral into depression and eventual suicide. This display of unhealthy behaviour is then supported by main character Clay Jensen, who supports Hannah’s motives and then tries to justify her actions by seeking out those that Hannah claims to have caused her suicide. This portrayal of her depression and eventual suicide distorts the reality of mental illness. The idea of commiting suicide and then receiving justice for your actions in the form of others seeking conviction on your behalf is extremely twisted and wrong. The way the show portrays how people react is not grounded in reality and makes the viewers question the actions of those in the show. Hannah’s actions fail to be a real interpretation of what real people with real issues deal with. Hannah’s choices and the choices made because of her suicide have little basis in what people actually feel when they suffer from a loss or from depression. The core purpose of “13 Reasons Why” is to spread awareness of the issues surrounding suicide and depression. Yet the execution becomes less impactful and more confusing because of unrealistic plot elements. We can also see these issues in other popular TV shows that feature characters with mental issues, notably “Sherlock.” The main character, Sherlock Holmes, is said to have antisocial personality disorder (ASPD). The way that its portrayed in the show makes Sherlock seem cool and personable; a far cry from the sad realities that people with ASPD face. “Sherlock,” unfortunately, paints a picture that people with this disorder are super smart and endearing. In fact, ASPD is very debilitating to sufferers and it affects their everyday mental state and relationships. With shows like “Sherlock” and “13 Reasons Why,” those who don’t understand these issues and their consequences are likely to become misinformed. In a sea of media that portrays mental health issues to springboard a message of caution and spread help to those in need, “Bojack Horseman” does not feel the need to hide behind a message of help. The show’s exaggerated setting allows them to explore darker themes by establishing an absurdist backdrop. The show pushes creativity and uniqueness in its storytelling when compared to other shows that try to tackle the same issues. 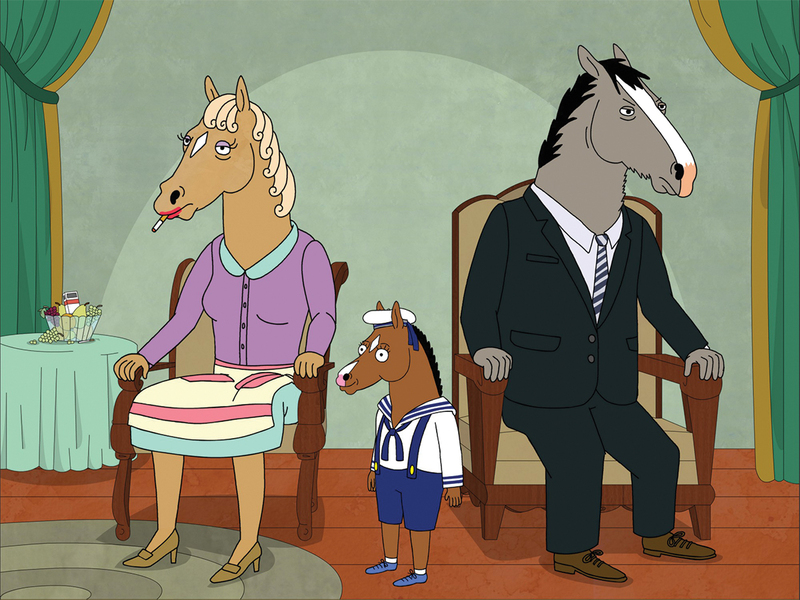 “Bojack Horseman” doesn’t try to portray any one solution to mental health. Rather, the show utilizes its underlying themes to describe its characters more realistically and grounded in a logistical way. The show is raw and portrays these issues how normal people might encounter them with friends and family. 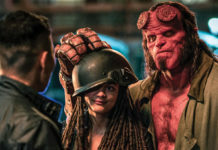 The show’s greatest strength is the connection it fosters with its viewers through this brilliant portrayal of mental health.